Most of us have seen, and maybe used, the acronym FOMO. It means Fear of Missing Out. FOMO is the fear of making the wrong decision about how to spend your time, particularly after you’ve seen internet stories about others doing better. The related condition in negotiation is FOBO, Fear Of Better Options. Fear that there may be a better option prevents negotiators from choosing any option. Seeing reports of great results in other cases, unlikely to be identical, contributes to the situation. Some people are “maximizers”; they think they must have the perfect resolution. So they need to consider every single option. 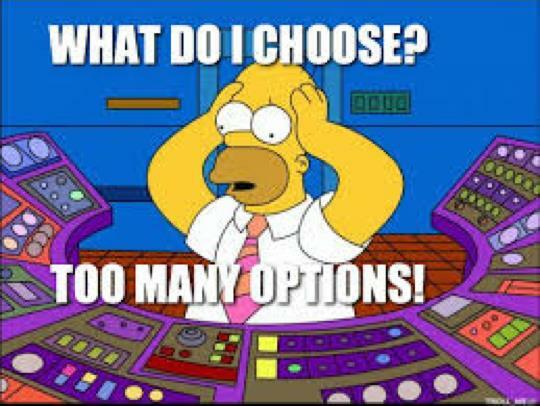 The trouble is, too many options leads to indecision. Maximizers include the attorneys who want to pursue every avenue of inquiry regardless of the expense in relation to the likely effect on evaluation of the claim. Happier, more successful people are “satisficers”; they know how to recognize an acceptable deal and move on. Satificers aren’t pushovers. They do their homework. In mediation, they’re the people who have evaluated the claim based on historic data, expert reports, and their own experience. They present cogent, coherent arguments in their mediation brief. They have considered the downside of walking away from a deal though they might consider it barely acceptable. To avoid FOBO, negotiators need to prioritize their needs and wants. For most mediation participants, the highest priority is closing the claim with an acceptable outcome. Continuing to litigate means months or years of additional expense and stress. Well-prepared negotiators know the status of the case today and realize that things could get worse in the future.